After a continuous rainfall in the last few days, the water level in the Yamuna river has reached its highest level in the last five years. As per the Delhi government, the water level in the river has crossed the danger marks. However, around 3,000 people who were living at the low-lying areas of Delhi have been shifted to camps and also the traffic at 150-year-old Yamuna bridge has been suspended. 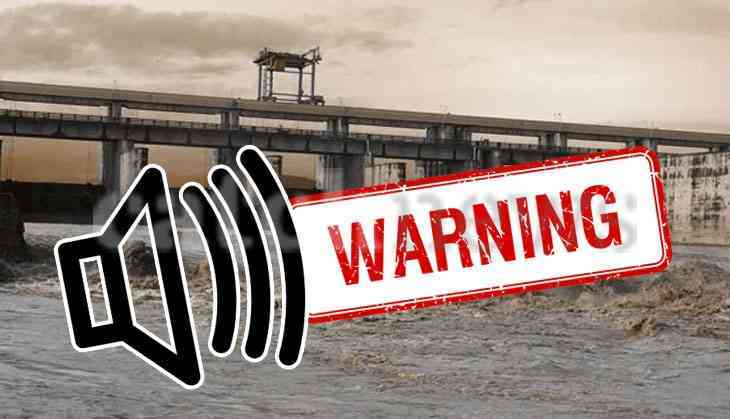 As per the reports of HT, Delhi government has also announced an emergency in the Yamuna’s low-lying areas floodplains. The Irrigation and Flood Control Department official said that the water level has touched 205.5 metres around 5 pm on Sunday (29th July). Earlier in 2013, the water level in the Yamuna breached 205 metres when the water level raised to 207.3 metres. In 2013 Haryana, had released around 8 lakh cusecs of water on a single day. While this year, Haryana has released around 6 lakh cusecs, which was released on Saturday. However, the traffic at the bridge was stopped after the announcement that was issued by the government because of the water level keep on rising, said an official. There are also the reports that the water level would rise to 206.6 metres in the next 48 hours because it would take two days to reach the capital after getting released from the Haryana’s Hathnikund Barrage which is around 200 km north of Delhi. Meanwhile, Delhi has suffered its most severe floods in 1978 when the water level touched a record 207.49 metres.